We're happy to announce the opening of our fourth Work Lounge - our take on coworking - at the Knoll Business Centre in Hove next month. We currently have coworking venues in Letchworth, Manchester and Brixton and the latest addition comes as a result of customer enquiries in the area, expressing interest in a coworking facility. £50 off one month’s subscription if you recommend to a friend and they become a co-worker in Hove. Your friend will also receive £50 off their first month. Please contact Jenny on 01273 410 789 if you’re interested in coming to the open day, or you can just turn up on the day. 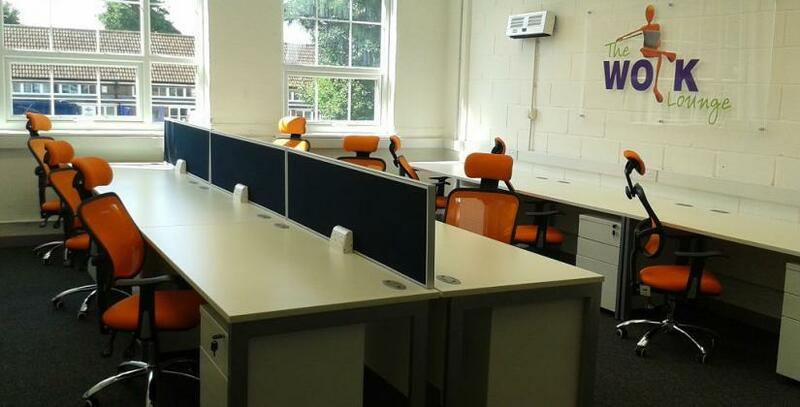 Our Hove coworking space offers dedicated desks for up to 12 workers. Unlike our other venues, there is no drop-in pay-as-you-go offering but coworkers can benefit from 24 hour access, fibre-optic broadband and exclusive use of an 8-person meeting room and garden. We get a lot of enquiries from freelancers, mobile workers and start-up business owners who are wanting small and cost effective office space. "We decided to create a coworking space in Hove to fulfil this need and offer a shared office environment, where people can also meet other local businesspeople. We are hoping that many different kinds of business will be able to benefit from it."